Here, a nanoporous gold electrode (NAu) was reported with a unique cone-shape nanohole structure for electrochemical sensing of nitric oxide (NO), which was fabricated via a facile sputtering technique on aluminum oxide membrane. Two kinds of nanoporous gold electrodes fabricated on different aluminum oxide membranes with aperture-size of 20 nm (2020NAu) and 200 nm (2040NAu) were obtained and compared in electrochemically active surface area and electro-oxidation activity. 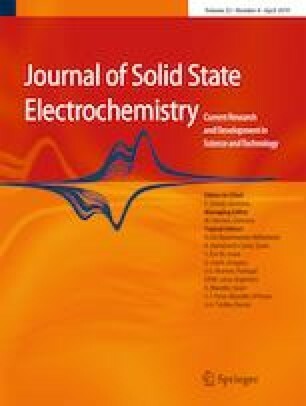 Concerning the determination of NO, it exhibited higher selectivity to NO2− and larger electro-oxidation current on 2020NAu electrode than those on 2040NAu electrode when their backsides were used as sensing interfaces. Meanwhile, the anti-interfering ability of bare 2020NAu electrode was also compared with that on Nafion-modified 2020NAu electrode. Results showed that common electroactive interferents such as H2O2, ascorbic acid, and uric acid could be hindered by cone-shape nanohole structure in the backside of 2020NAu electrode. On the basis of cyclic voltammetry, the linear range was from 4.75 × 10−8 to 9.50 × 10−7 M for NO sensing on 2020NAu electrode. This work is supported by the National Natural Science Foundation of China (No. 51668047), the Key Research and Development Program of Jiangxi Province (No. 20161ACG70001), and Doctoral Start-up Foundation of Nanchang Hangkong University (NCHU2018120130).